This was Axel’s first time going to one of Mike’s practices. 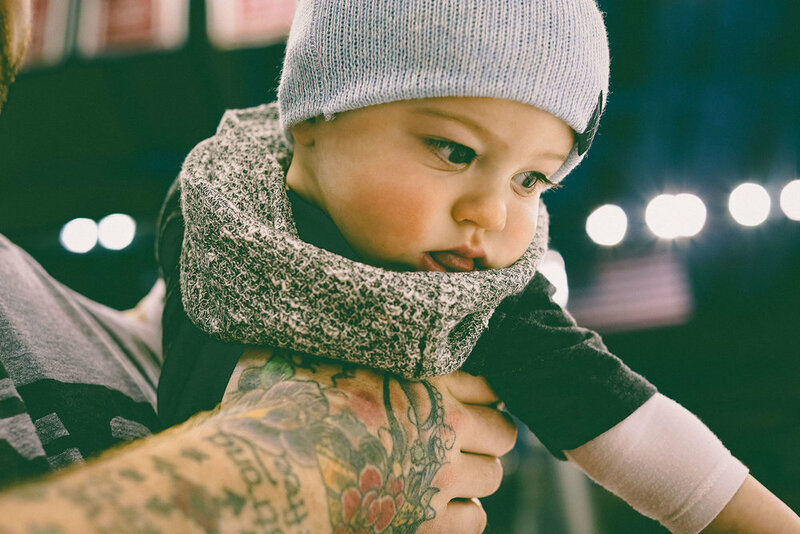 He was six months old…so still too little to really have any idea what was going on, but nonetheless it was cool watching him take in all the sights, sounds and movement on the ice. I’ve enjoyed going to Mike’s practices here and there in the past. I love watching him skate – he’s so powerful, yet graceful. I get little heart eyes watching him do his thing. Bringing Axel to watch him brought a whole new level of joy to the experience though. Axel was so intrigued and observant. Once the practice was over Mike brought him out onto the ice to skate around and meet one of his best buds and teammates, Steve Ott, who had his son with him too. Then Mike showed Axel around the locker room, which was very cool. There’s so much history at the Joe Louis Arena. You can feel it bouncing between the walls.